I found these from a pre-auction sale in Iowa just east of Des Moines. A super, nice, old couple that was putting on the auction let me nab these four a week before the auction started. 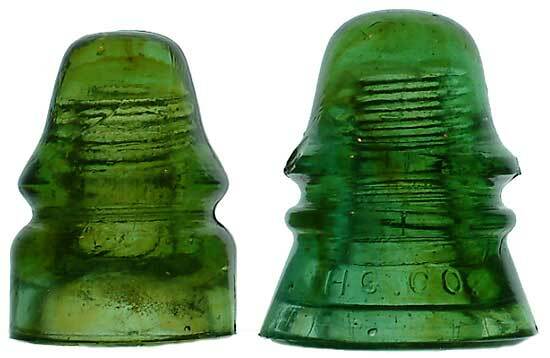 They were found in an old wagon behind a barn along with 400-500 other insulators. 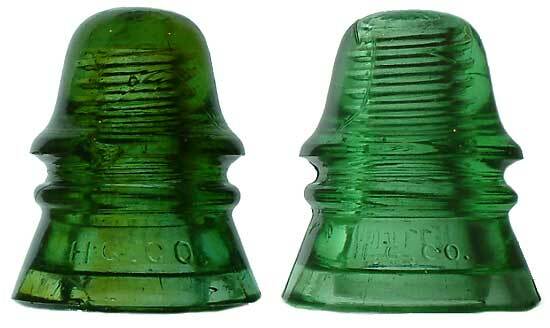 The insulators had been there for 30-40 years and were covered in mud and dirt, etc. They took all of the insulators out of the wagon and hosed them off - these four were hiding in the pile. I am assuming they came off the Rock Island Railroad since that railway ran thru the town the auction was in.